The Nox garbage can: technology, functionality and aesthetics in a single piece. Efficient, handy and aesthetically pleasing, the Nox garbage can is perfect for any home space to ensure practicality and beauty. The basket, measuring 35cm in height and 28cm in diameter, is made in AISI stainless steel, an impact-resistant, anti-scratch and anti-wear material. 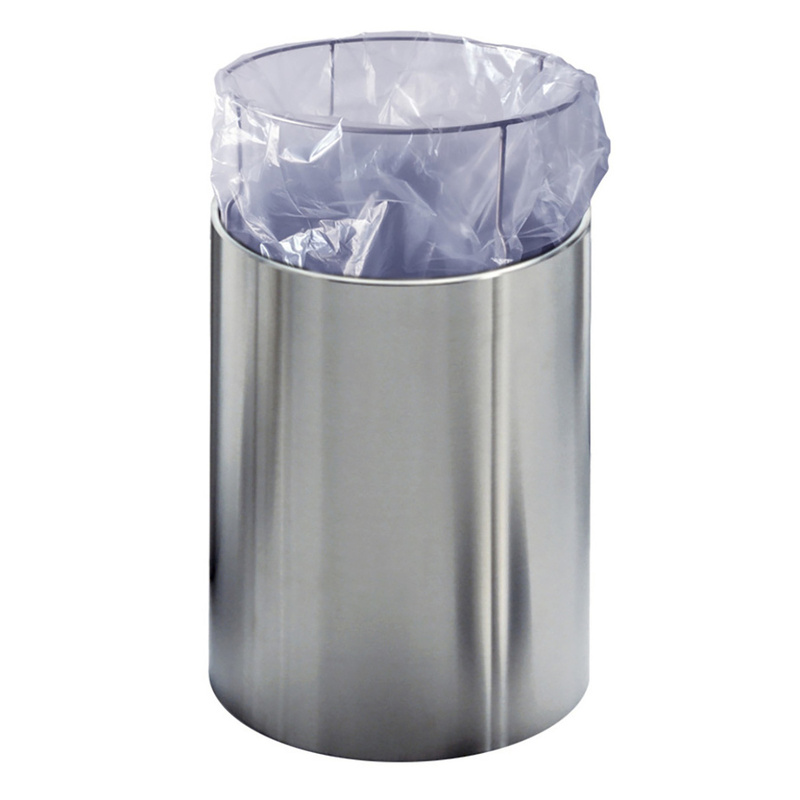 Sophisticated and trendy, the Nox garbage can has a cutting-edge design with a strong visual impact: without junctions that often result in anti-aesthetic elements, the piece is made in a single block and uses invisible welding while rounded edges protect against bumps and avoid injuries. 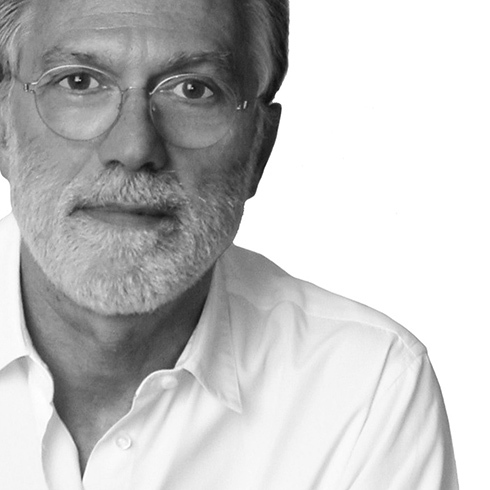 The creator of this piece is Raul Barbieri, a leader when it comes to offering contemporary and exclusive pieces that will ensure design, style and comfort in your home. Refined and ultra-modern, the Nox garbage can is perfect for a contemporary kitchen furnished with metallic and glossy appliances yet it can also be used in the living room, perhaps as a wastepaper basket to keep under the desk. 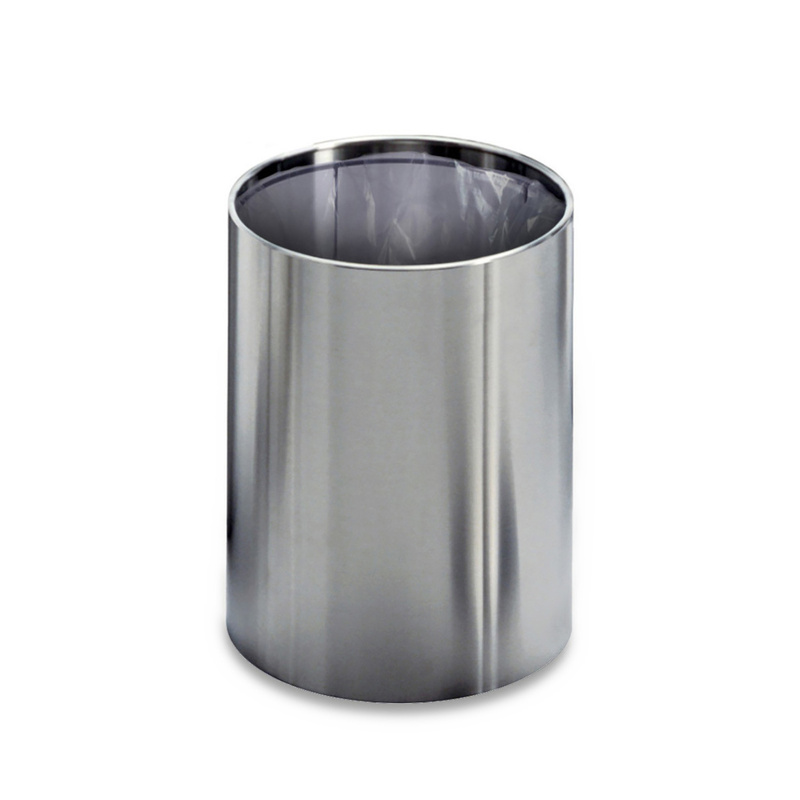 Moreover, the shiny finish of this trash can makes it suitable even for office area as well as for a waiting room, a hotel lobby, or a study, making any business space classy and sophisticated. The Nox garbage can also contains a versatile steel support made of thin but solid rods that help you position the bag correctly.